Max Klein in the Cortech Fusion Jacket. The outer shell of the Fusion is constructed of something Cortech calls FlexCor fabric, which may or may not be what Black Panther’s onesie is made of. Underneath the flexible, breathable, and abrasion resistant outer layer is a removable, waterproof liner that attaches with color-coded zippers and snaps so things don’t get all twisted when you go to put it back in. The liner isn’t too bulky, is quite flexible, and adds nicely to the overall comfort of the jacket when installed. The Fusion sports removable CE-approved shoulder and elbow pads and a CE level 2 “Armadillo” back protector. Don’t worry, no armadillos were harmed in the making of the back protector. For me, all of the armor is perfectly placed and not intrusive. The back protector feels especially solid yet flexible, which I guess is how armadillos feel all the time. Anyway, it instilled confidence in me regarding its protective properties in case of an unfortunate run-in with gravity. The Fusion’s overall fit very accurately reflects what the sizing chart promised. 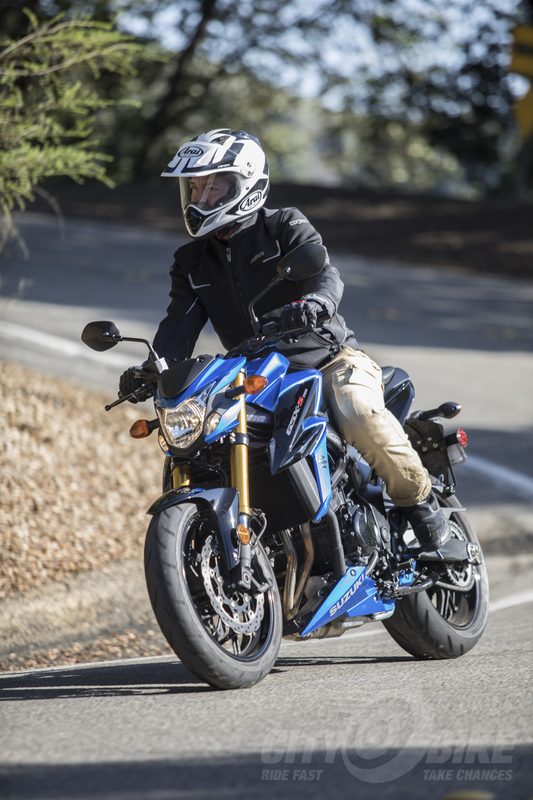 The pre-curved sleeves and sporty “performance” fit and design make for a snug yet comfortable garment that doesn’t limit movement whether I’m on a bike with bars or clip-ons. 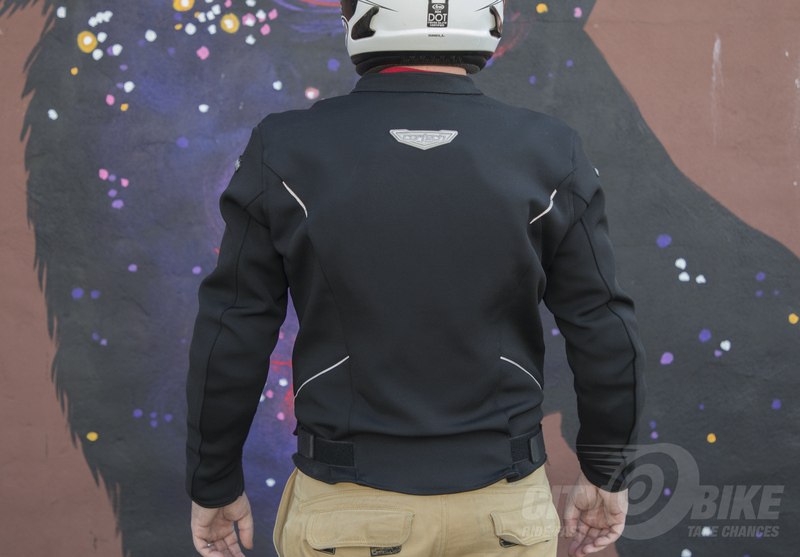 The short body of sporty-styled jackets similar to the Fusion have occasionally given me the motorcycle equivalent of plumber’s crack. Thanks to hook-and-loop waist adjustments and a slightly longer beaver paddle tail, the Fusion kept my crack modestly hidden away. For additional security, the jacket comes with an 8” zipper attachment so you can hook up your favorite pair of pants. Softening things up a bit is a microfiber lining on the Mandarin collar and cuffs which gives the Fusion a premium feel. 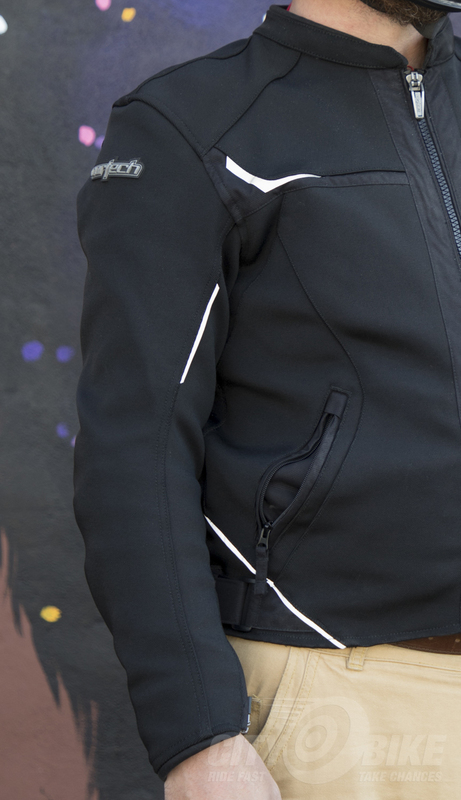 While the jacket is all black there is reflective material visible on all sides, including the signature Cortech triangle on the back for night visibility. The reflective material is not the cool, blacked-out type that shows up when needed, but the normal silver, always-on type that in this day and age seems a little dated. If you are one of those people that need pockets, the Fusion has two handwarmer pockets on the outside that zip up perfectly for my garage door opener. There is a total of four internal pockets, however, they are intentionally redundant. Two are in the removable liner, and the other two are in the exact same spot in the jacket, revealed only when the liner is removed. The Fusion is a nice hybrid, offering the weight of a textile jacket with the snug fit of leather. It has almost a European vibe to the fit, even on my very American body. The only thing I didn’t really like about the Fusion is that the collar seemed to occasionally catch on the helmet buckle side of my lid during the check of my left blind spot. It seems to be due to the collar height and lack of a means to secure it in any position except where it comes to rest. Not a deal breaker by any means, but thinking it might have been the helmet I tried an Arai and Shoei in addition to my HJC—all reacted the same. 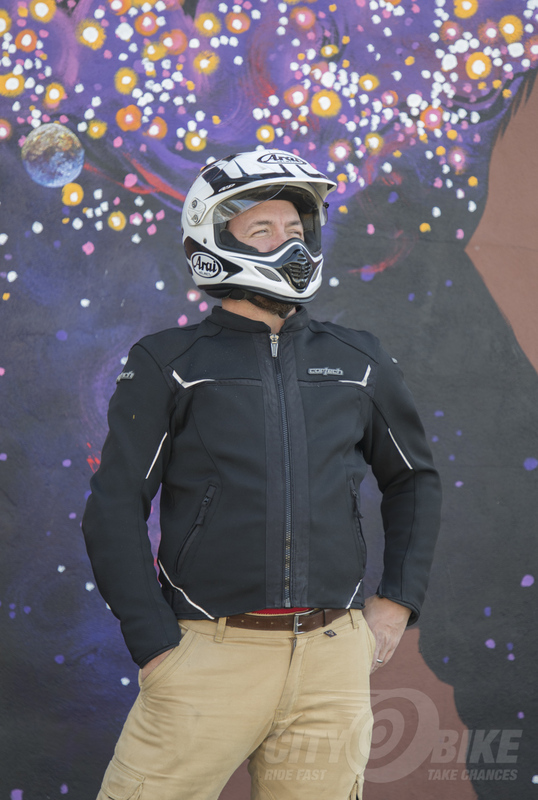 The Fusion is available in black, in men’s sizes from XS to 4XL, and would make a great three-season addition to the closet of any Bay Area rider. $329.99. Learn more and find out where to buy at Cortech.net.